I can hear you going “G-what“? 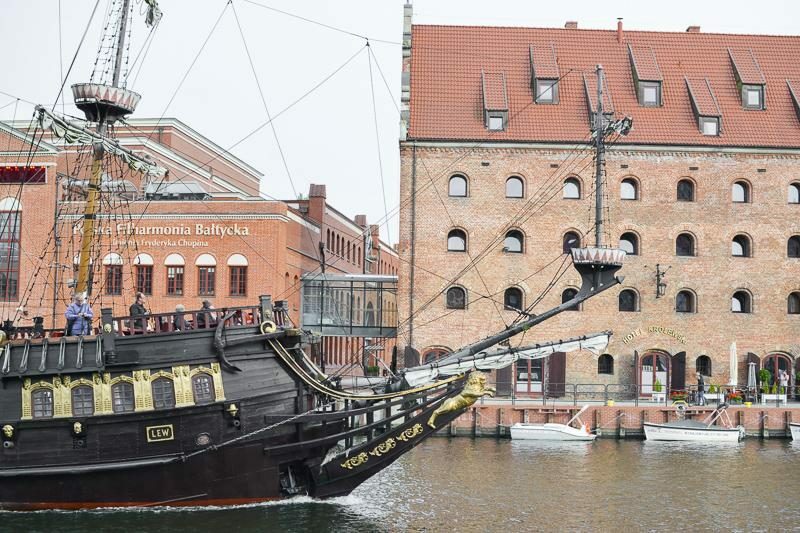 Gdańsk is a harbor city the North of Poland and a relatively new tourist destination. 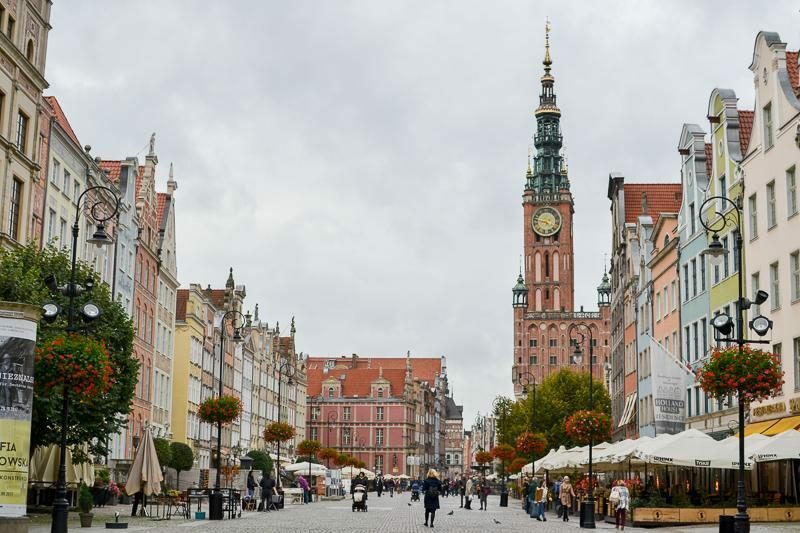 Most people who pass through Poland will stop at Warsaw or Krakow and an odd few visit Poznan as well. 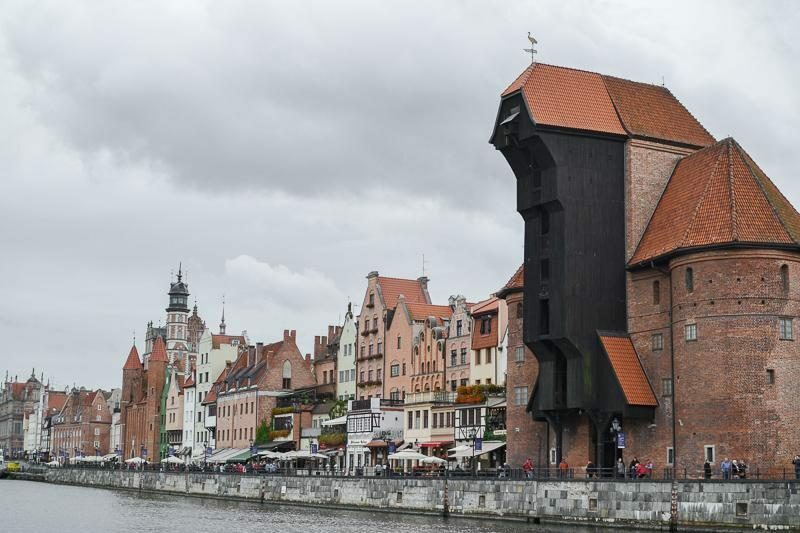 Gdańsk is still a bit the odd man out. 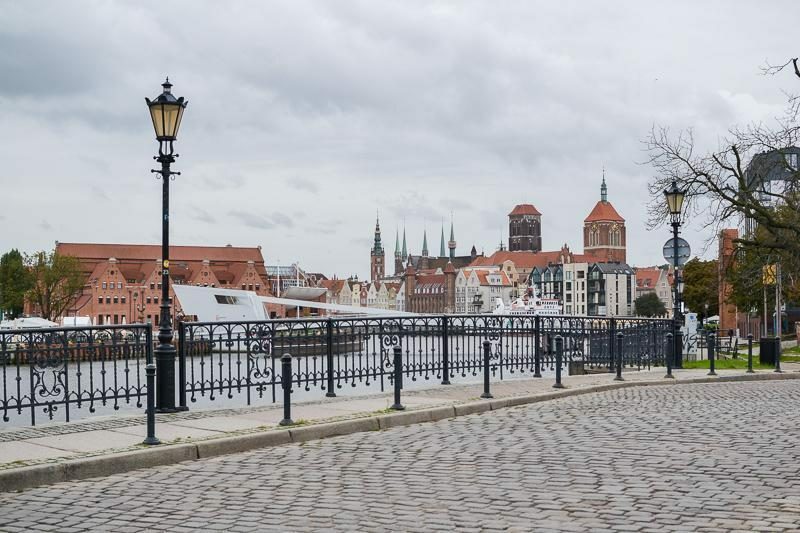 The city is unknown to many Millenials, which is a sad given since Gdańsk was the scene of an enormous social revolution that has set the tone for modern day living in Europe. I’m not a history teacher, so I’m going to spare you the lessons about occupation and liberation and the Lenin Shipyard. 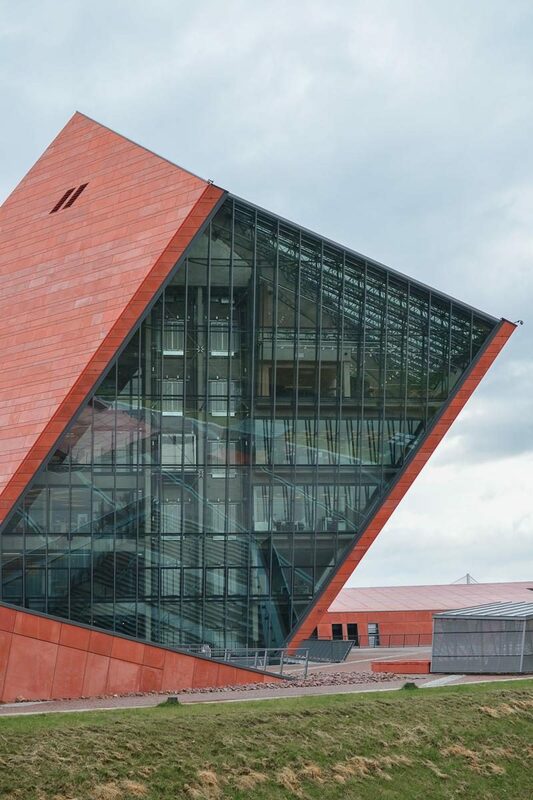 You can learn about the history of Gdańsk in the Museum of the Second World War and the European Solidarity Center. Both museums are phenomenal and BIG. Make sure you take out enough time to read, listen to and behold the full exhibitions. You’ll need it and it’ll be worth it too. 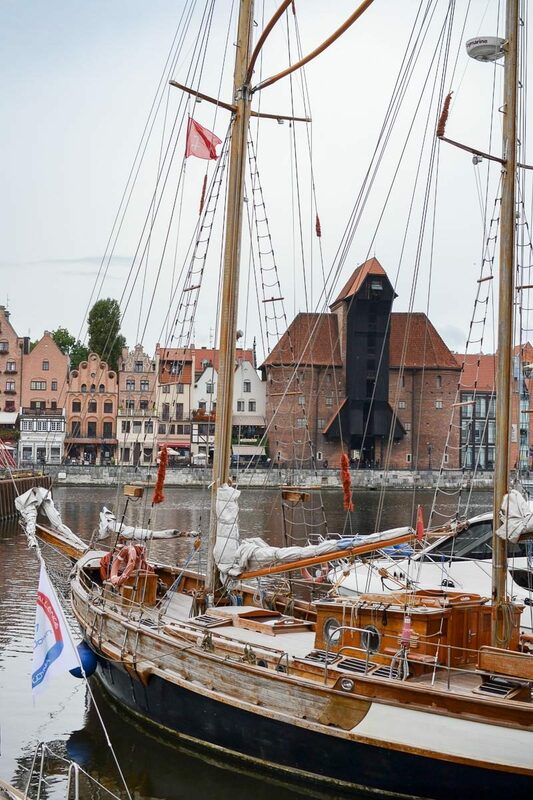 I personally gained interest in Gdańsk as a city trip destination after learning about it through a friend. He traveled to Poland two years ago with srprs.me (a surprise travel concept) and he was raving about the city. Now that I have been there myself, I 100% get his excitement. This city is beautiful. Think small town feelings, pastel houses, cobbles, café’s and an infrastructure that Belgium could learn a thing or two from. 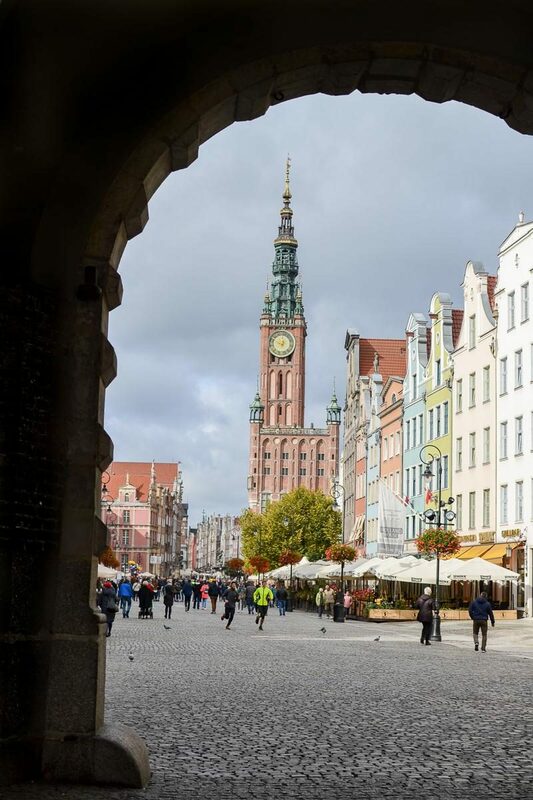 I lost my heart to Poland in just four short days. We arrived in early October for a short and sweet getaway. We didn’t have any expectations and just wanted to relax and stroll around a bit. We dropped off our luggage at our hotel and immediately went out exploring. Our first stop was the Madison Shopping Gallery, because we were really hungry from travelling and their food court was the easiest option. My boyfriend had a sushi burrito and he has not talked about anything else since last October. The tone for this trip was set! After lunch we walked down to the center. BOOM! I did not expect this much beauty. 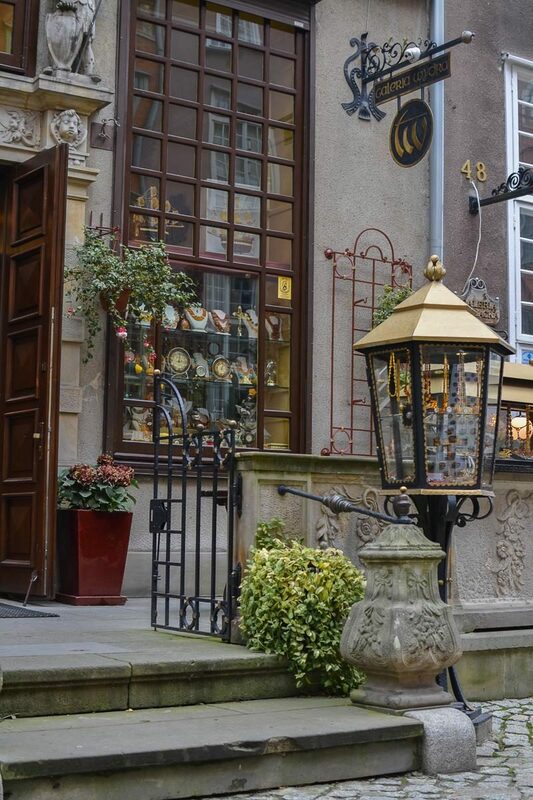 The small historic center has been entirely renovated with eye for detail and is a lust for the eye. 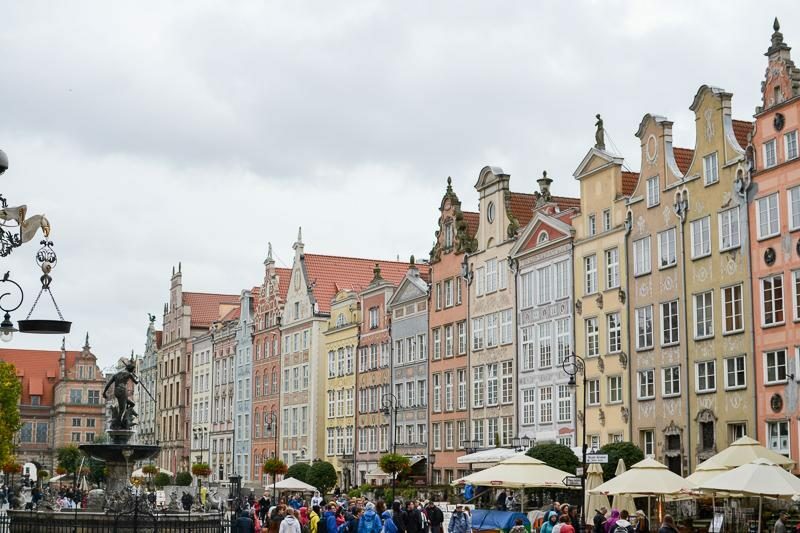 The colorful buildings, the cobbled stone streets and lovely churches are all restored or currently undergoing renovation works. The Neptune fountain stands proudly in the middle. The quays alongside the canal are beautiful to stroll around. 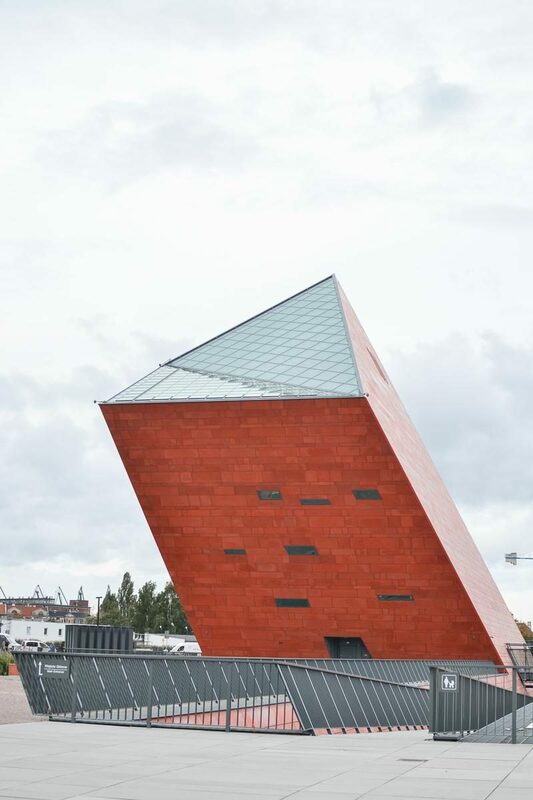 From here you can enjoy beautiful views over the city and, if you’re lucky, even spot a viking boat! You can take a boat tour (on the viking boat if you please) or hire a pedalo and peddle around the marina. 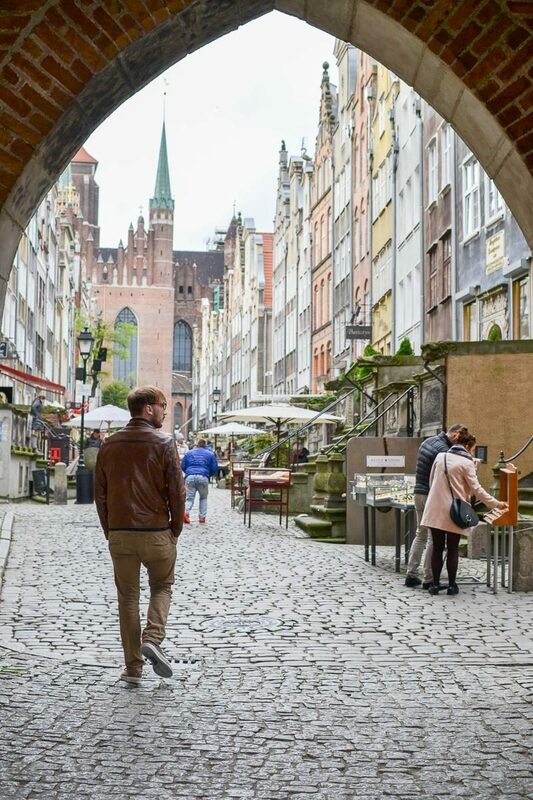 The walkway stretches from the central market to the Museum of the Second World War and takes you past some cozy-looking bars and restaurants. 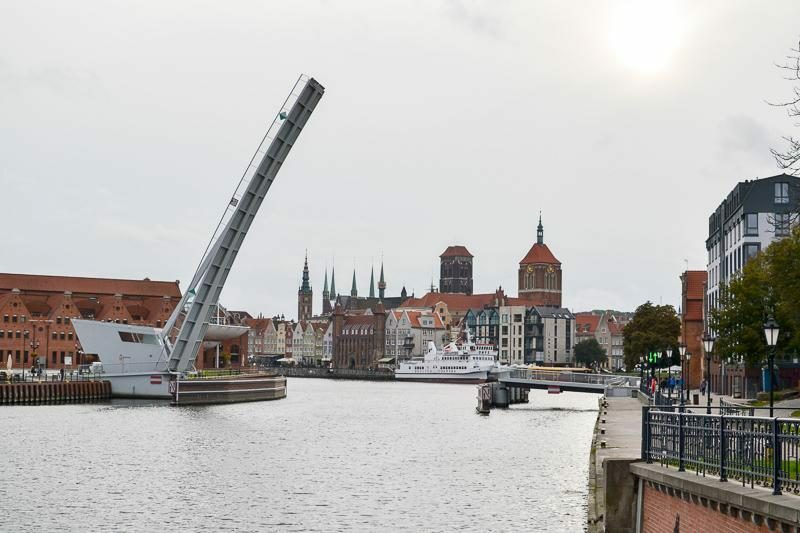 Just about in the middle you’ll come across one of Gdansk’s most well-known landmarks: The Crane. There has been a crane in that exact spot since the 1300s and it was used through the centuries to carry off loads and house craftsmen. 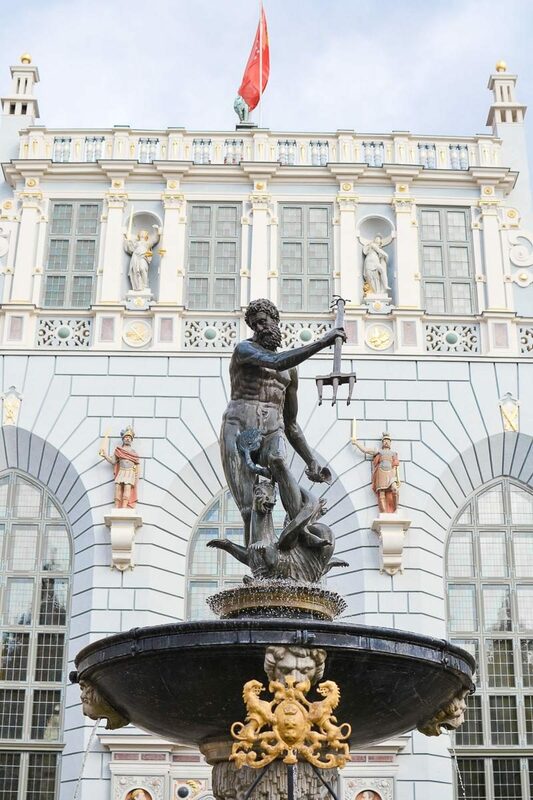 It’s now one of the few remnants of the city’s great days as a trading center and its maritime past. It currently houses the National Maritime Museum. If you follow the quay away from the central market, you’ll come across Ulica Mariacka. 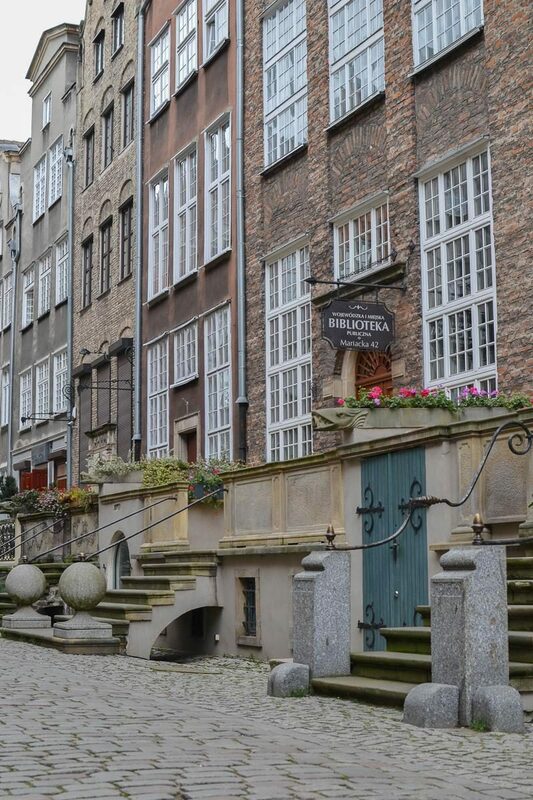 Ulica Mariacka is known as the most photogenic street of Gdańsk, thanks to the cobbles and colorful line of houses with unique terraces. 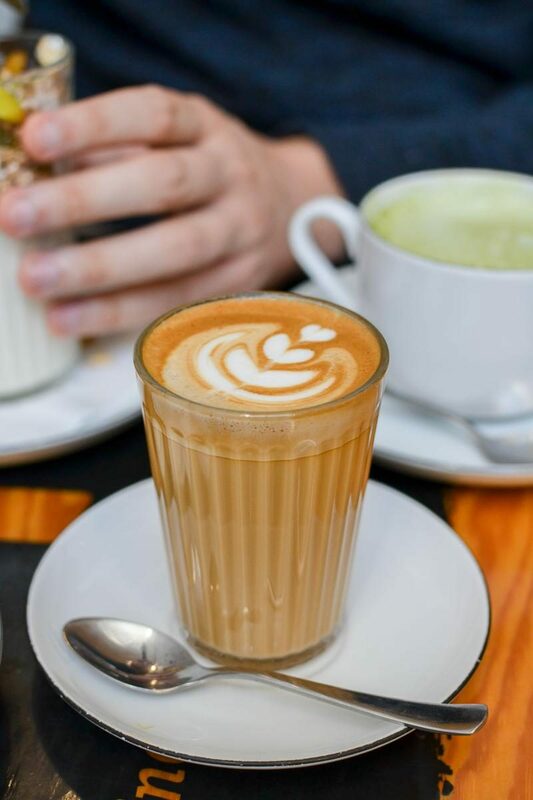 The street is home to many artisan Amber shops and you’ll also find the best coffee bar in town at number 36 (Drukarnia Cafe). What is noticeable about the historical city center is that there are nearly no large shops. You’ll find a craftsman or souvenir shop here and there but the city does not have a large shopping boulevard lined with typical high street shops. 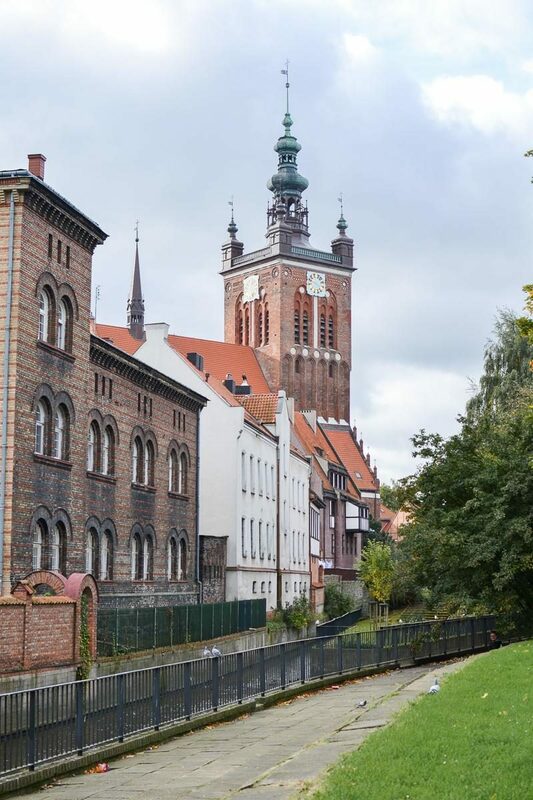 All those shops are tucked away into shopping malls in the outskirts of town, around the Wrzeszcz railway station. 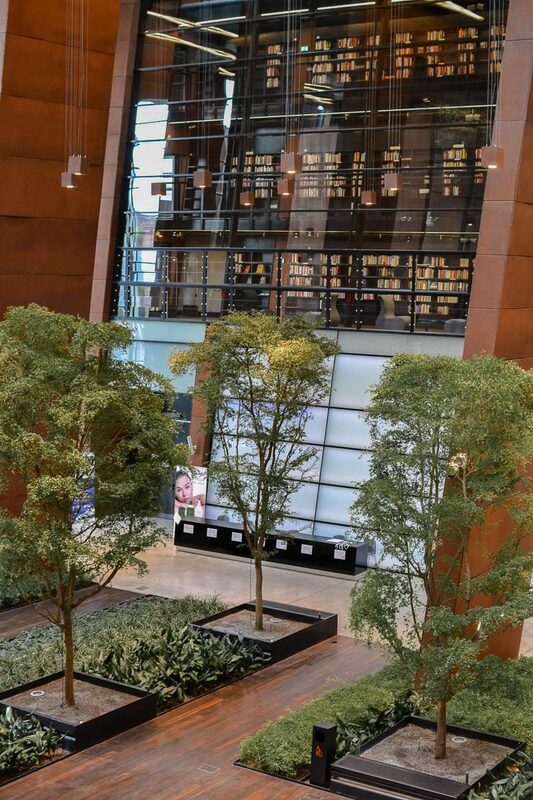 The malls house Northern European fashion favorites such as RYŁKO and Reserved as well as H&M, Mango, Zara and the likes. 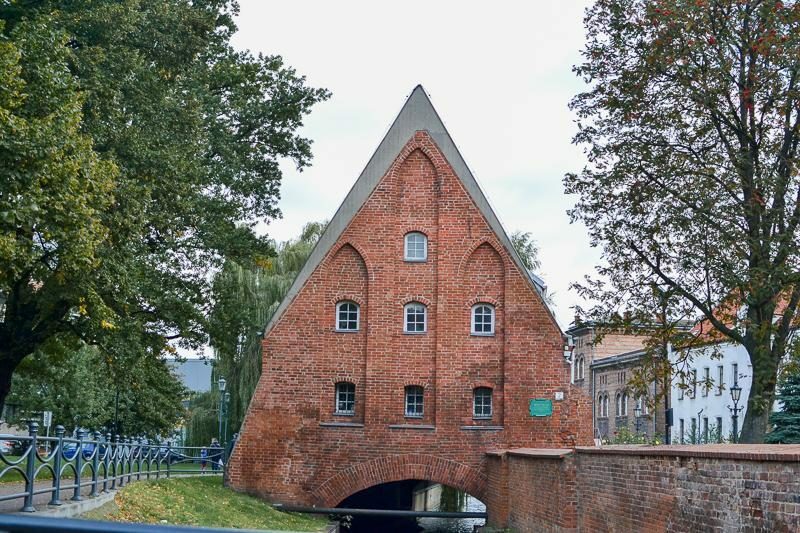 Gdańsk Wrzeszcz is also a very hip neighborhood. Here you’ll find coffee bars, vega restaurants and “Instagrammable” lunch places aplenty. Try walking Wajdeloty and the Rondo im. Güntera Grassa if you’re hungry and fancy something. Also not far from Wrzeszcz railway station is a street called Juliusza Słowackiego. This small street leads to a park where you’ll find PING PONG restaurant (serves all your favorite Asian dishes!) and a few other food and coffee hot spots in a cozy modern industrial setting (aka renovated warehouses). 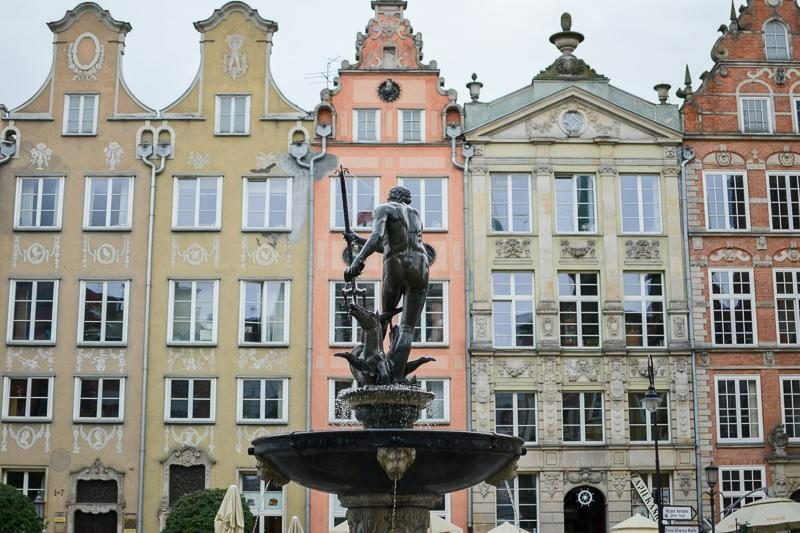 If you fancy a night out, Gdańsk has some mighty fine cocktail bars! The PURO hotel bar comes highly recommended by both travel guides and locals. Flisak ’76 on Chlebnicka 9 is a real gem too. They have their own menu full of exotic flavors and mixes that you’ve never heard about before. The bar is downstairs in the cozy, dim-lit basement and is full of decorative curiosities. There isn’t much room, so come early if you want to be sure to have a seat. 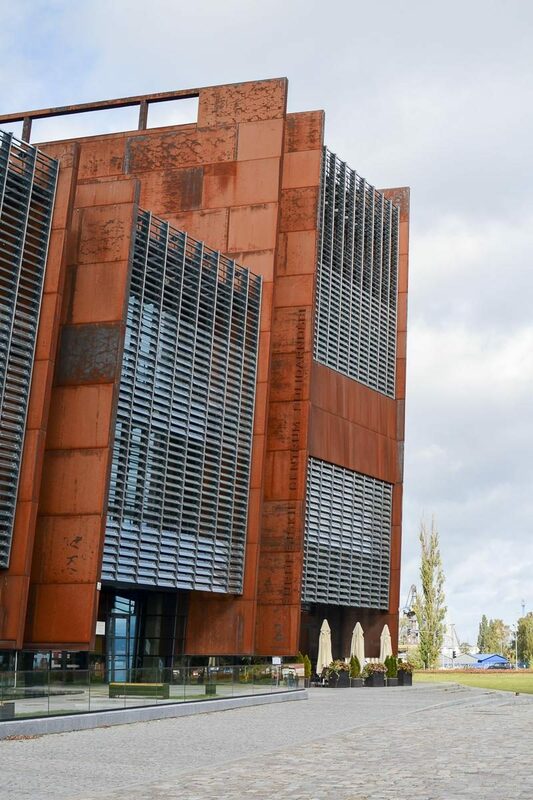 Gdańsk far exceeded our expectations. We flew in thinking that booking four full days was probably a bit optimistic and that we’d be bored soon. Nothing like that happened at all! 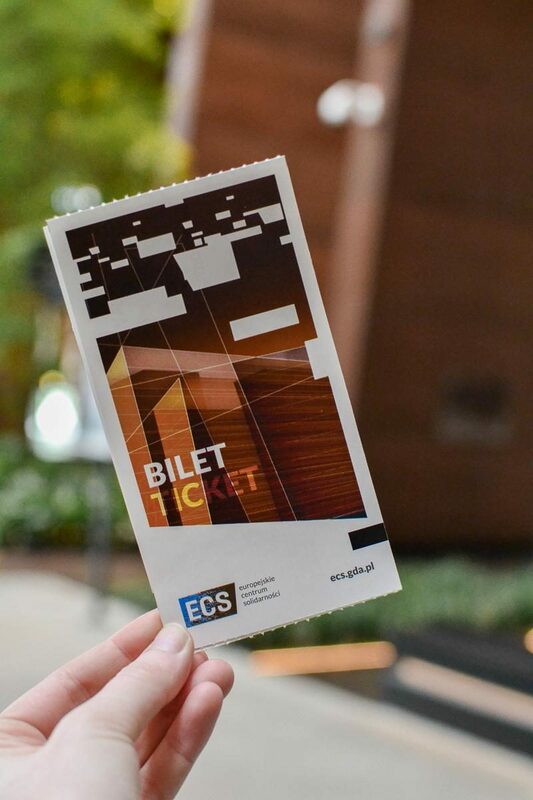 Our original plan was to stroll around town and maybe do another coffee bar crawl, but in the end we had so much more to do than we had thought. Our visits to the two historical museums were my favorite part of our trip. 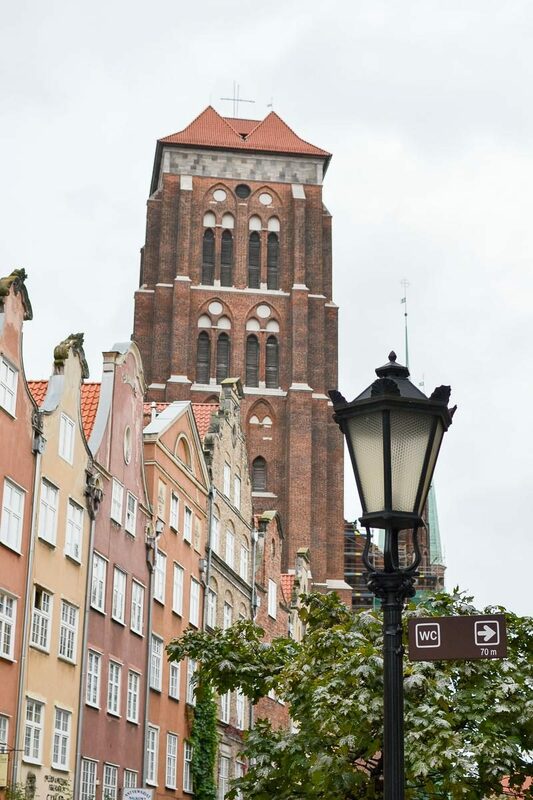 Overall Gdańsk reminded me a lot of my current hometown Antwerp, minus the shopping boulevard haha. 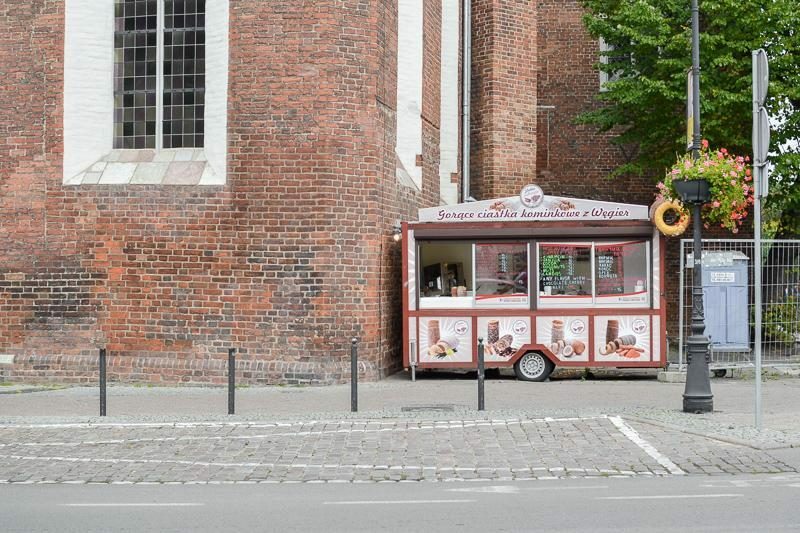 It has that same vibe to it, especially around the central market and the Wrzeszcz neighborhood. 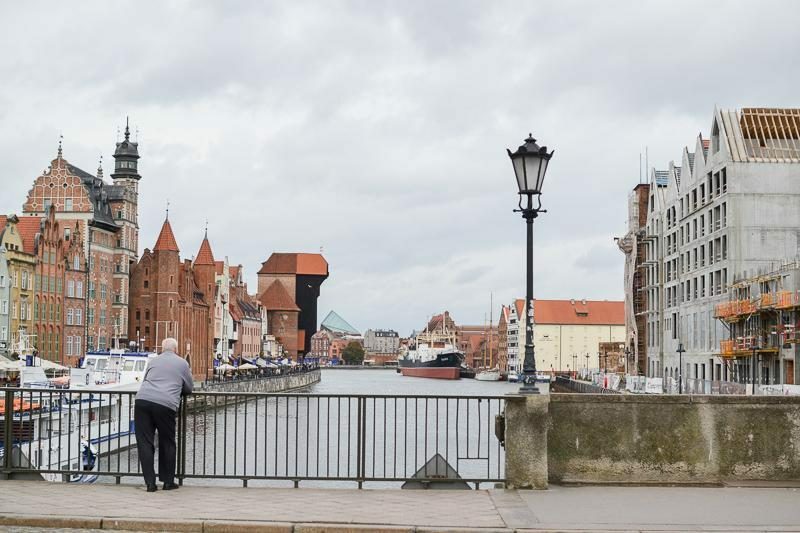 In a way, Gdańsk felt a little bit like home. 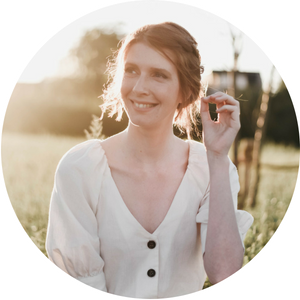 In case you are wondering where my restaurant and coffee recommendations are, I’m going to put those together in a separate blog post. Keep an eye out for that one! Airport to city – Direct train from Gdansk Gdańsk Lech Wałęsa Airport to Gdańsk Główny railway station. I always enjoy seeing your travel photos. I know all these places are close by to you (relatively anyway) but they seem so exotic and far away for me, as I’ve never been too anywhere in Europe outside of the UK. 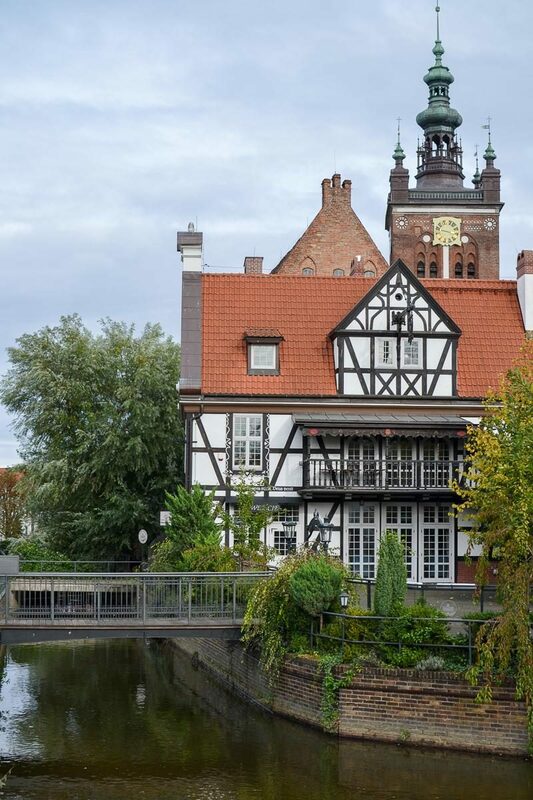 Gdańsk looks so charming! I’ve seen lots of people talk about it over the past couple of years and it’s climbing up and up my list.